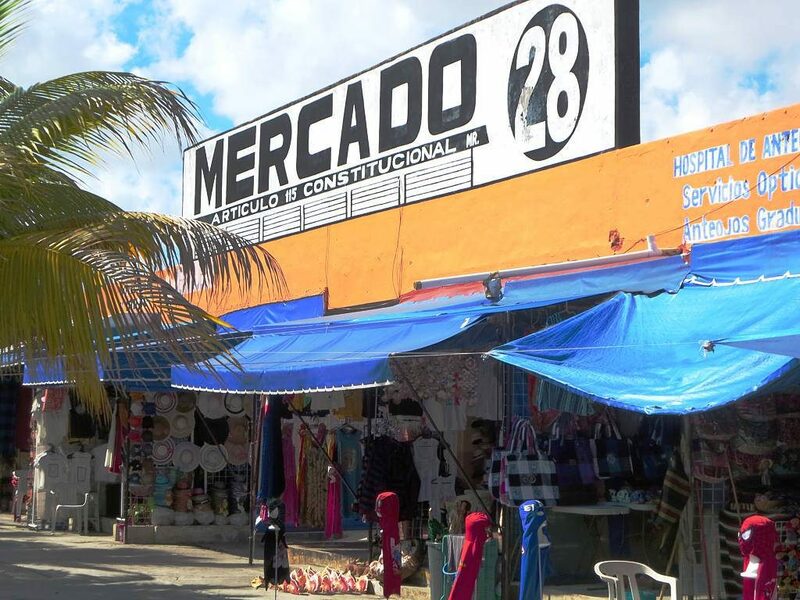 Many a holidaymaker has enjoyed a stay in Mexico by soaking up the sun in Cancún. Renowned for its sandy white beaches and crystal-clear ocean, it provides nothing short of the perfect getaway. The beach is just one of its attractions, however – take a look at our guide to the top ten things to see and do in this tropical destination. Of course you know in Cancún you have to go to the beach, but you still need to choose the one that best suits your personality. If you have kids, try the calm sea and shallow waters at Playa Tortugas or Playa Caracol, while for watersports, Playa Chac Mool and Playa Marlin have the right waves and depth. The most popular beach is Playa Delfines, also known as El Mirador, which is recognized with the Blue Flag (Certification to World Excellence) and described as the most beautiful on the coast. 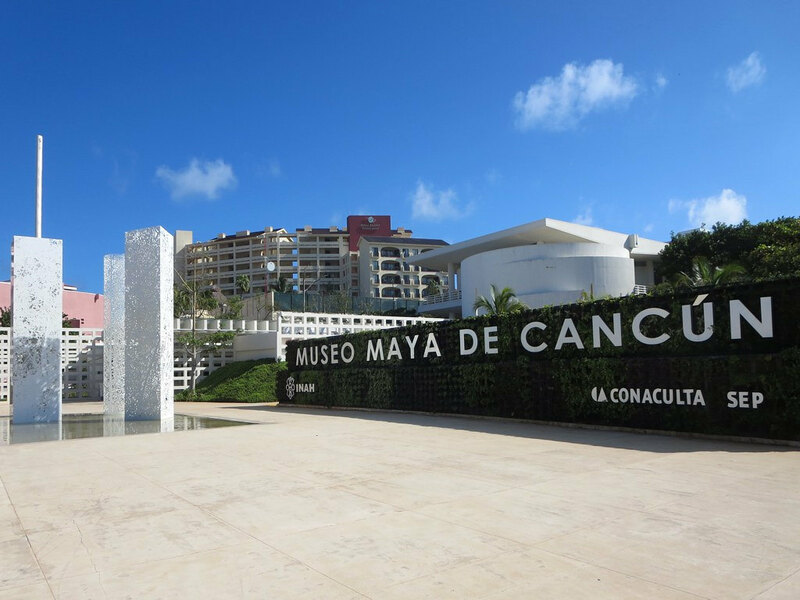 Take a day off from the beach to do a cultural activity and learn about local history at any one of Cancún’s five museums. While the Iconographic Museum of the Panamerican Race, the Ka’Yok’ Cancún Planetarium and the Cancún Wax Museum are not focused on local culture per se, they are fun and interesting, as is the Tequila Sensory Museum – a great way to discover, taste and shop ofr a variety of tequilas. However, the one you can’t miss is the Maya Museum, where you’ll find information about history and archeology from Quintana Roo, alongside a collection of pieces from pre-Hispanic Mexico and the archeological zone San Miguelito. Snorkeling is one of the best watersports experiences in Cancún. A turn under the clear waters of Cancún lets you watch a spectacular parade of turtles, starfish, lobsters and many other species living among the coral. Take a snorkel tour at Punta Nizuc, the closest coral reef to the hotel zone in Cancún, or try the underwater art museum MUSA (Museo Subacuático de Arte), a reef full of more than 400 sculptures. 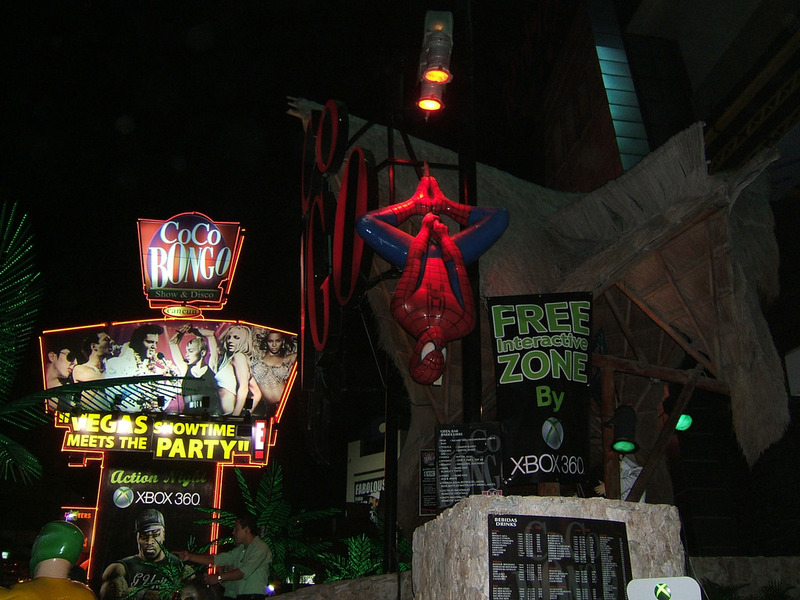 Walk along the boulevard at night and you’ll find an endless selection of bars and clubs. The atmosphere is unique, the street is crowded, the city is awake and everybody is happy. Take a look around and then start with cocktails in a a bar or two, before going to a club (known in Mexican slang is known as ‘antro’). Coco Bongo is a much-loved club in Cancún’s top ten for nightlife entertainment, thanks to the fantastic atmosphere where fun is guaranteed. 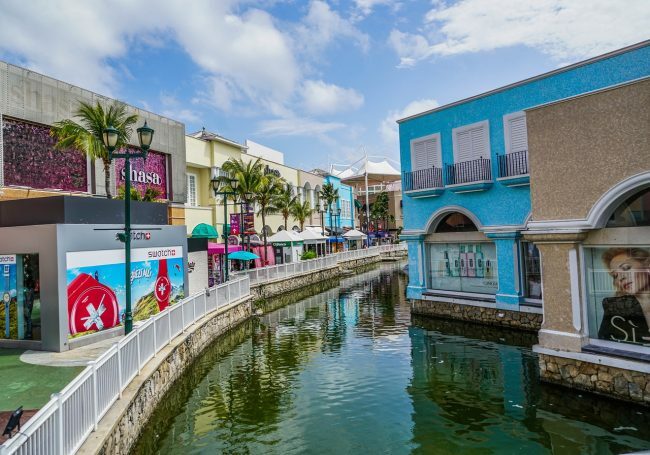 La Isla is an outdoor shopping mall which stands out for its coastal town design with little canals, located next to a lagoon where the sunset views are part of the main attraction. After a morning at the beach, chill out in the mall and take a look round the international designer shops, followed by a visit to the aquarium or the wax museum. At dinner time, the charm of the canalside restaurants is a delight to experience. There are three archeological zones in the heart of Cancún that showcase the magical mysticism of Mexico’s ancestral culture: San Miguelito, El Rey and El Meco, as they’re close to each other, you can visit them the same day. In San Miguelito you can see the process of excavations underway, which is a plus that you might not find in bigger zones. El Rey affords many a photo opportunity to take pictures of the iguanas that live there, while climbing the highest pyramid at El Meco gives a spectacular view to end the day. Cancún has delicious food and snacks – a trip to the much-loved market Mercado 28 offers the chance to try typical dishes including panuchos, a fried tortilla filled with refried beans and topped with meat, lettuce, avocado, tomato and purple onion, as well as salbutes, which are similar but without beans – and, of course, tacos are always part of the menu. 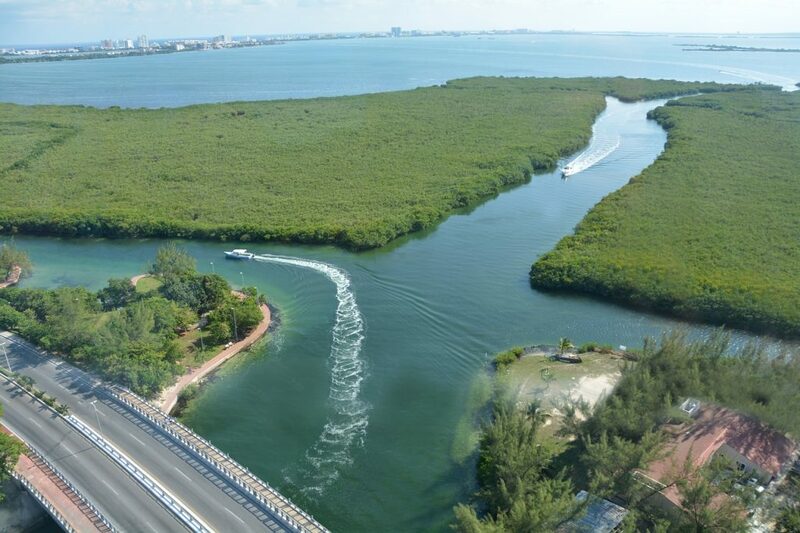 Be captivated by the wonders of Cancún in a panoramic view from the comfort of the Scenic Tower. Ascending to its 80-metre peak affords the best 360 ° view to take in the lagoon, mangroves, ocean waters and hotel zone while listening to information about the island. It’s one of the most inspiring places to watch the sunset, and though it only takes ten minutes of your time, the memory will last forever. Try a temazcal – an ancient Mexican ritual bath in a small round room made of natural materials (wood, stone, adobe, or mud) representing the womb of our Mother Earth – the humid heat and medicinal herbs are said to eliminate toxins. Choose the relaxing treatment from among the Mayan-infused spas of Cancún such as The Royal Cancún or Temazcal Cancún. Experience the delight of navigating the water of Cancún with some of the fantastic cruises on offer. Some of them are pirate-themed, such as Pirata Jolly Roger Cancún and Captain Hook Pirate Ship, and are an excellent way to spend time with the family. You can also try The Dancer Cruise, a good option to have fun en-route to Isla Mujeres. For romance, definitely take the Columbus Lobster Dinner Cruise – the saxophone as background music makes all the difference. Captain Hook cruise | © PriceTravel Pictures / Flickr.